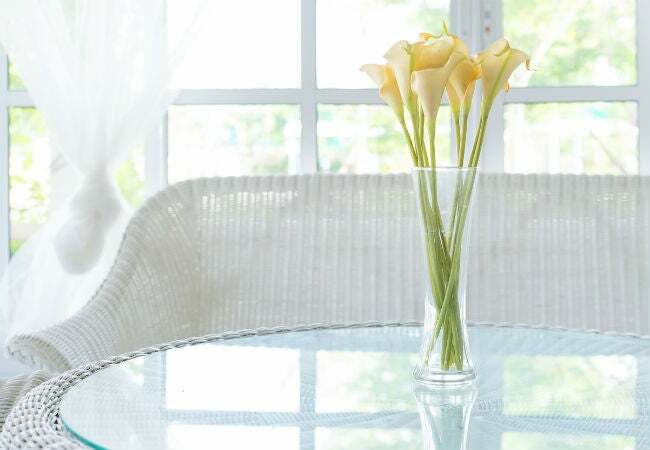 Repair a cracked window, glass tabletop, or even a mirror with this easy step-by-step guide. A pebble from the lawnmower tossed against a window. A drink set down too heavily on your glass-topped coffee table. A favorite vase tipped over by your curious cat. These and near-endless other scenarios can lead to a crack in glass. Sadly, glass that has broken into pieces or has cracks larger than an inch, as well as double-paned glass with a hole through both panes, is pretty much beyond repair. The good news is you can often fix a small crack in glass yourself with little more than a steady hand and a few basic supplies. 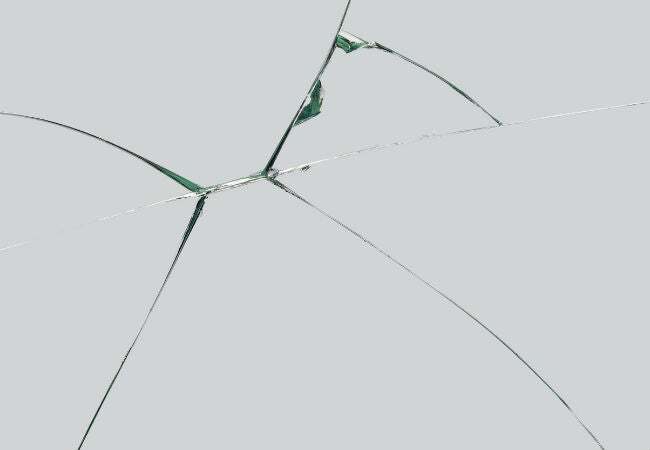 You’ll need to fix a crack in glass right away, however, as small ones can grow into larger breaks if exposed to moisture, temperature swings, dirt, or rough treatment. Note that the following guide on how to repair a crack in glass will do the job for single-pane-glass household items such as tabletops, shower doors, vases, and single-pane windows—as well as double-pane windows with a crack in only one of the panes. It’s not intended for repairing a cracked car windshield, which requires a syringe to inject resin into the crack and a plunger to maintain the vacuum between the windshield’s layers of glass. Also keep in mind that while you can fix a cracked mirror with this technique, the reflection is bound to show the repair a bit more than on regular glass—you’ll get best results with a minor crack on the sides of a mirror, out of the direct line of vision. Clean the glass around the crack with a drop or two of dishwashing soap on a damp cloth. Wash away any dust, oil, or fingerprints, and then wipe the spot with a clean damp cloth to remove the soap residue. Let the glass dry completely. In a well-ventilated area, prepare a two-part epoxy on a piece of cardboard or a disposable plate. These adhesives (which can found in many craft stores, home improvement centers, or on Amazon.com) have a separate resin and hardener that are mixed together at the time of use. While the mixture is often a 50/50 blend of the resin and the hardener, follow the directions on your specific product. 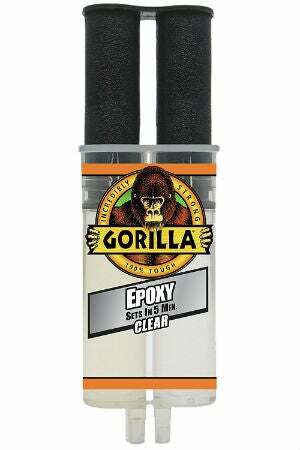 Use a toothpick to mix the epoxy for at least 20 seconds. Once the epoxy is mixed, be ready to use it immediately, as it will quickly thicken and harden. Generally, you’ll have five to ten minutes of working time before the epoxy is too thick to easily seep into the crack. Press the epoxy over and into the crack with a putty knife. Work the adhesive back and forth across the crack, gently pressing it into the damaged area. Let the epoxy cure for at least five minutes. Scrape away excess epoxy with a razor blade, and then wipe the area with a clean rag moistened with acetone to further remove epoxy that’s raised above the crack. Let the repaired glass cure for 24 hours. Polish the glass with a clean rag and glass cleaner, and enjoy your repaired item.